I've been let loose on the water again. Didn't fall in, did do a (wobbly) downward dog. Namaste! Some rude people (Mr Muddy, I’m talking to you) say I’m like a lesser-spotted whale, or the Loch Ness Monster. It’s true, you don’t find me in the sea all that often unless it’s the Maldives. 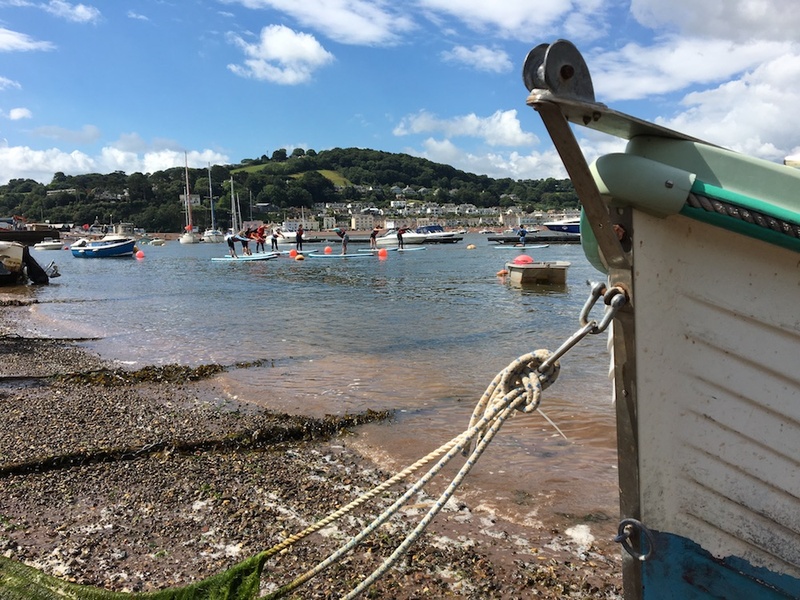 But the last incredibly rare sighting of me was off the shores of Back Beach in Teignmouth. And, do you know what? On my latest watersports adventure, the unfathomable happened. 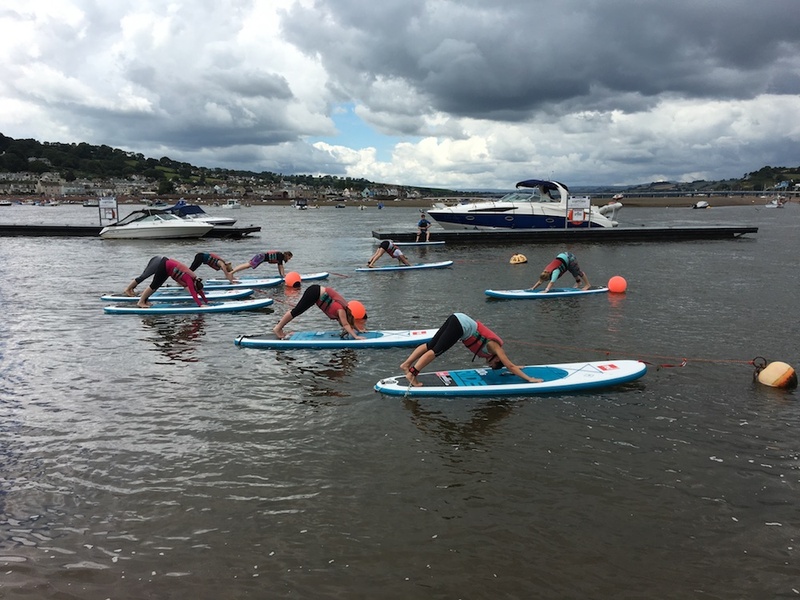 I not only stood up on a stand-up paddle board; I only went and did a downward dog on one. 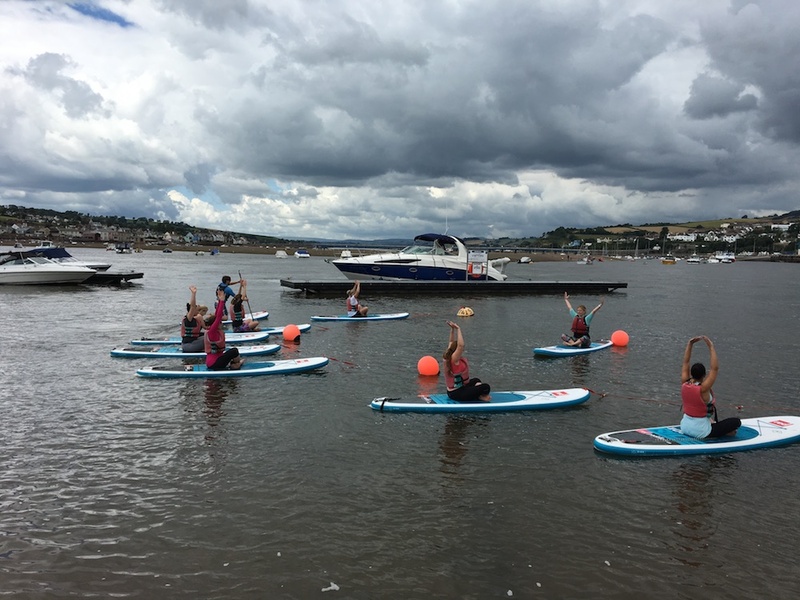 Kudos to this brilliant SUP Yoga class at Teignmouth’s SeaSports South West… and raspberries to the doubters. 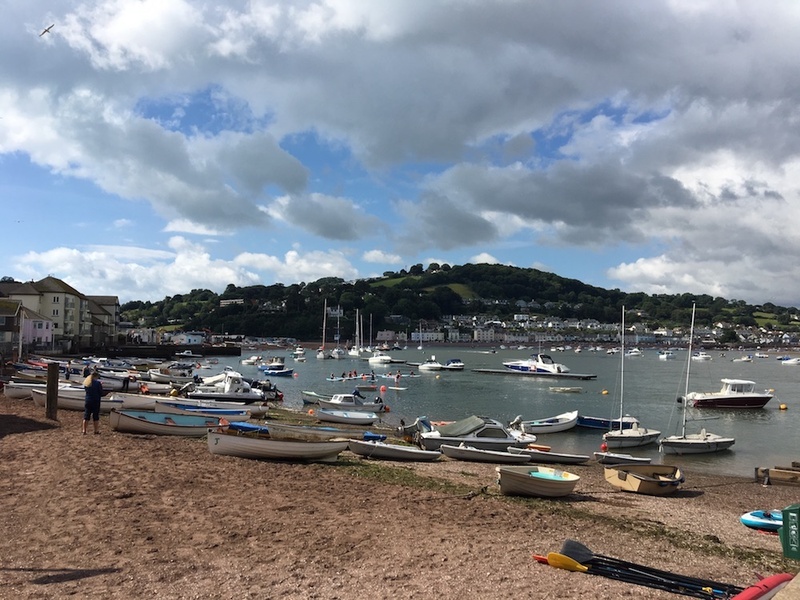 Teignmouth, on Devon’s south coast is that pretty destination that you see across the water when you take the train out of the county. The sand turns pinkish and the boats bob on the waves. It has all the charm and beauty of its neighbours further along, but feels less crowded and has more of a local vibe, rather than full-on touristy, going for it. Away from the main seafront off Northumberland Place in the town centre, you’ll find Back Beach (I only know of this little beauty because local Muddy Award-winning artist Laura Wall often draws inspiration from here with her paintings). A lovely spot, with calm waters and a few very funky cafes including the Crab Shack meet the sand. And, just a few paces from the water, is SeaSports South West. 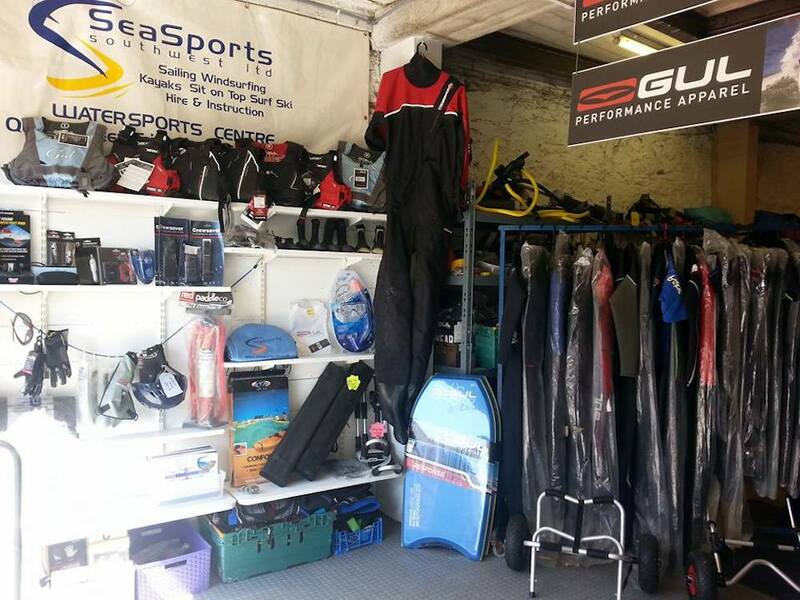 This family run watersports centre is in its tenth year of business teaching just about every water-based activity you can think of, to adults and children. With all the gear needed on-site, you can grab some tuition, whether a beginner or total pro, or just sign up for a day’s fun with the family during the holidays. The centre has all the accreditation you’d expect and the team are all fully trained up so you’re definitely safe. 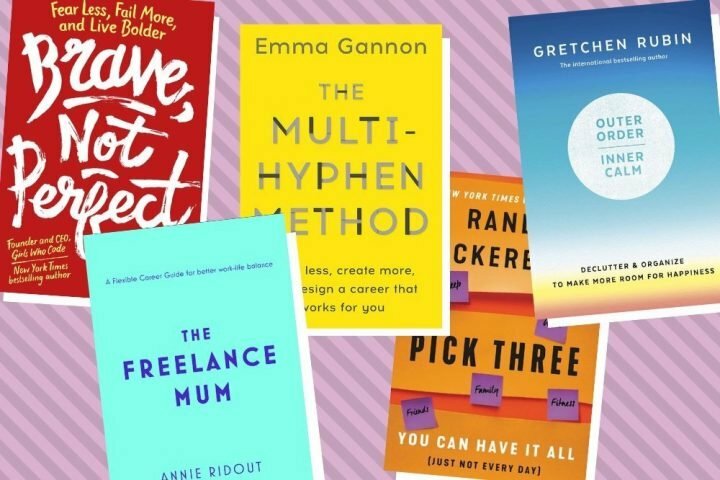 Sue, who’s the manager and one of the instructors, is one of those very assuring types who doesn’t make you feel like a complete pillock because you’re scared of what lies ahead. 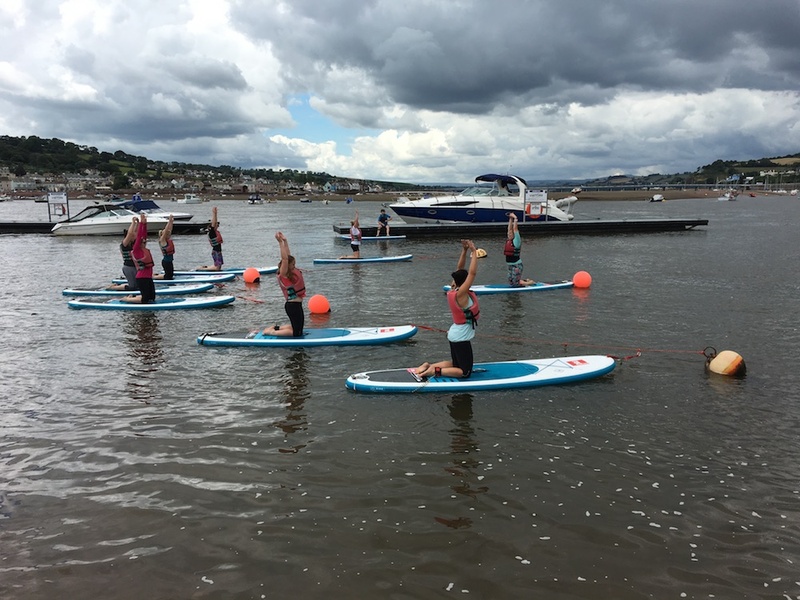 As if stand up paddleboarding wasn’t challenging enough, some mermaid masochist decided that it would be fun to incorporate yoga into it. I mean, who can stand on one leg, arms up, looking skyward while balancing on a plank in the water? 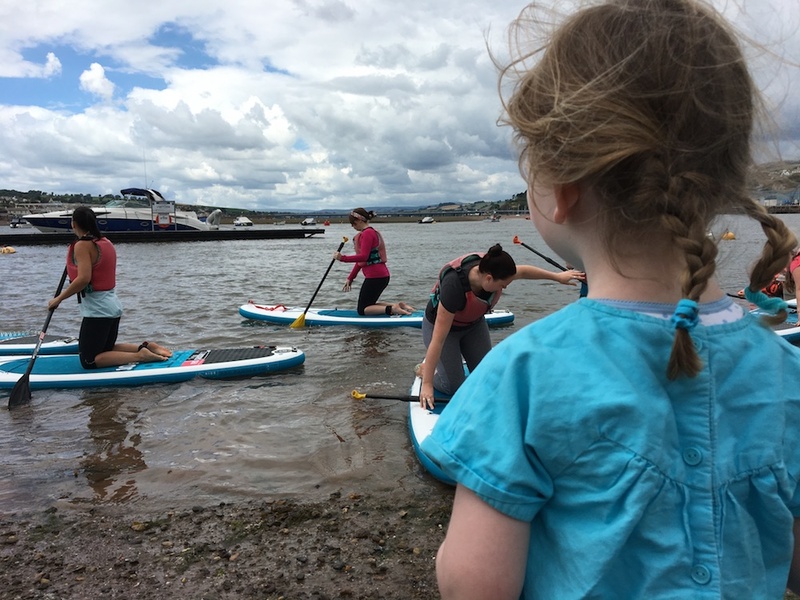 When I was invited to come along and try a session (part of a new course that’s been rolled out this summer) one recent Sunday morning, I honestly thought I’d spend most of it sat precariously spectating for most of the time. My core strength is on a par with that of a blancmange and I didn’t fancy falling in. I was advised to come in my usual* exercise gear (*so, what I last wore in 2004, then) along with some old trainers, or wetsuit boots and told that, in theory I wouldn’t be going in the water. That was the first surprise, having assumed I’d be in a wetsuit. 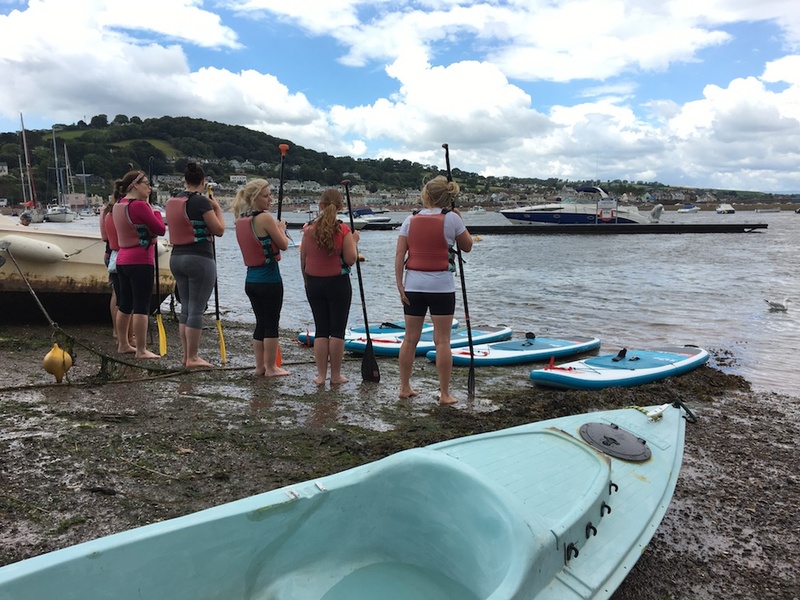 Then, I met my paddle board, gave it a quick pep talk to look after me and not try anything stupid like tipping me in. And then, we were off, the group of six or seven of us. When I say off, I mean, we paddled just a few metres out, enough to be floating, but close enough to be sheltered and calm. Then our lovely, patient, poker-faced instructor Amy began. 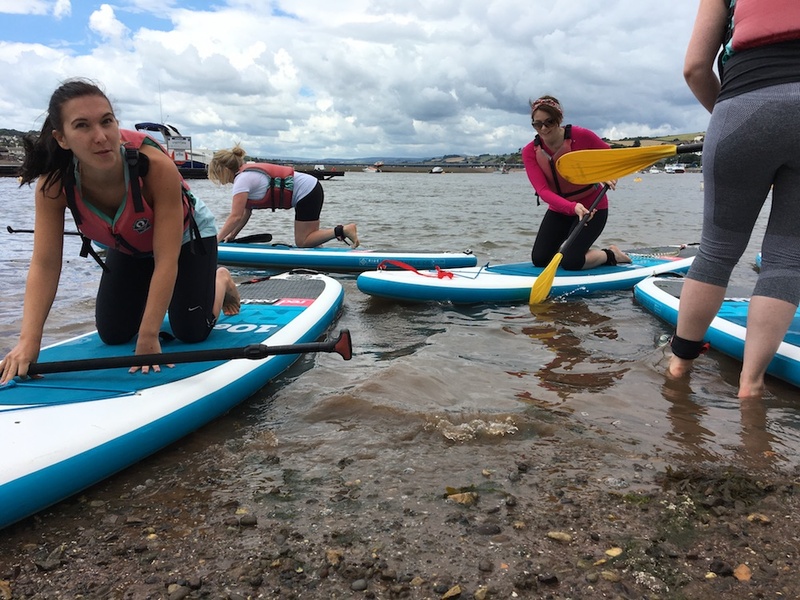 For those who’ve never been SUP before, it’s both harder and easier than it looks. When you see lithe, surfy types making it look simple, you assume it is, but it’s much trickier than you might think navigating one of these things stood up. That said, my board was wider and sturdier than I worried it might be. For that peaceful hour my sense of accomplishment was enormous and I even managed to stop and take in the tranquility of the fresh seaside. Until a large motorboat chugged past, leaving bumpy seas in its wake and me clinging on for dear life. 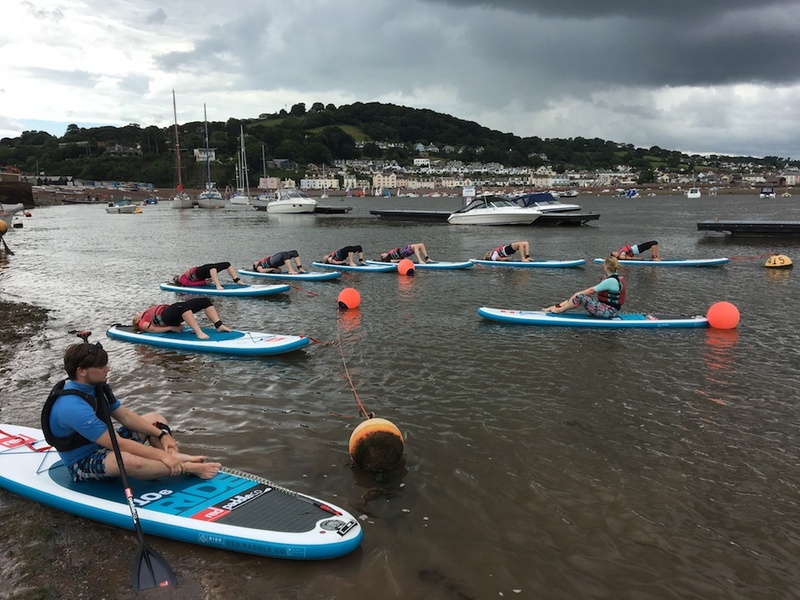 I loved the session, despite my limited experience and despite the odd drop of rain – and I definitely became reacquainted with my core. It’s a great class, run by lovely, capable people in a super pretty spot and it suits all abilities. You can push yourself as far as you want to, or just enjoy the peace and quiet where the kids can’t reach you for a whole, blissful hour. Sign up for the course and, I’m told, you could work up to a headstand on the board. 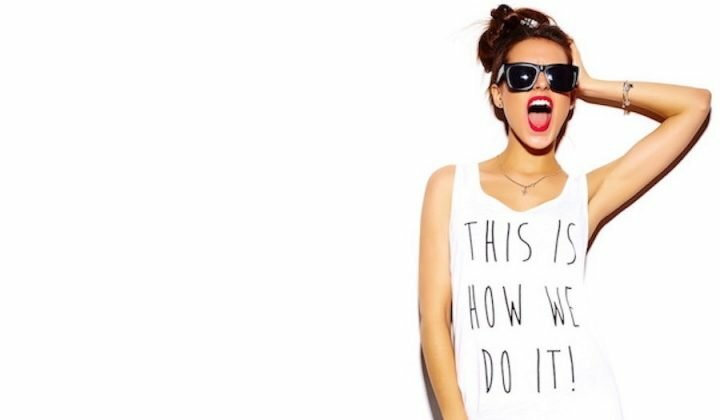 Quite a party trick, huh? Changing facilities are provided in case you do get soggy. The beauty of Sunday morning exercise, I discovered, is that the calories are free afterwards, which means a slap-up brunch. 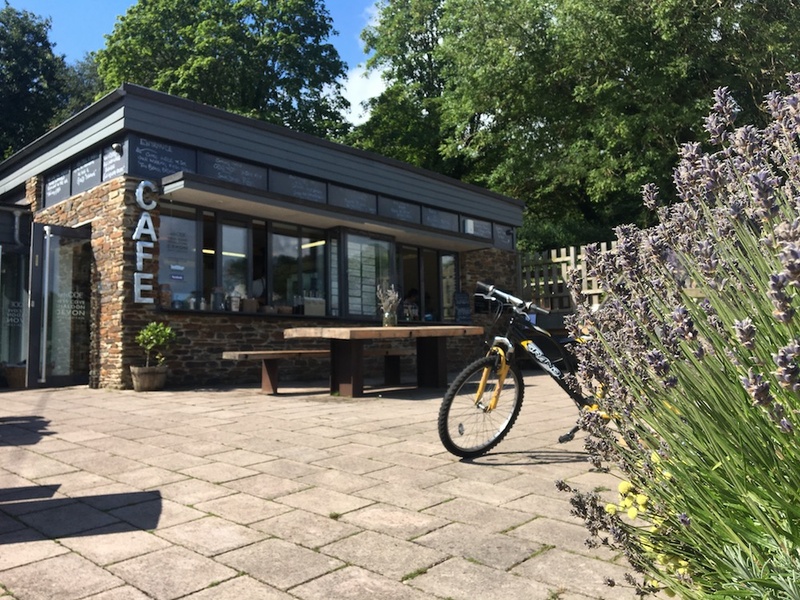 And I found it at Cafe Ode at Ness Cove just a few minutes’ drive out of town, in neighbouring Shaldon, overlooking Teignmouth. 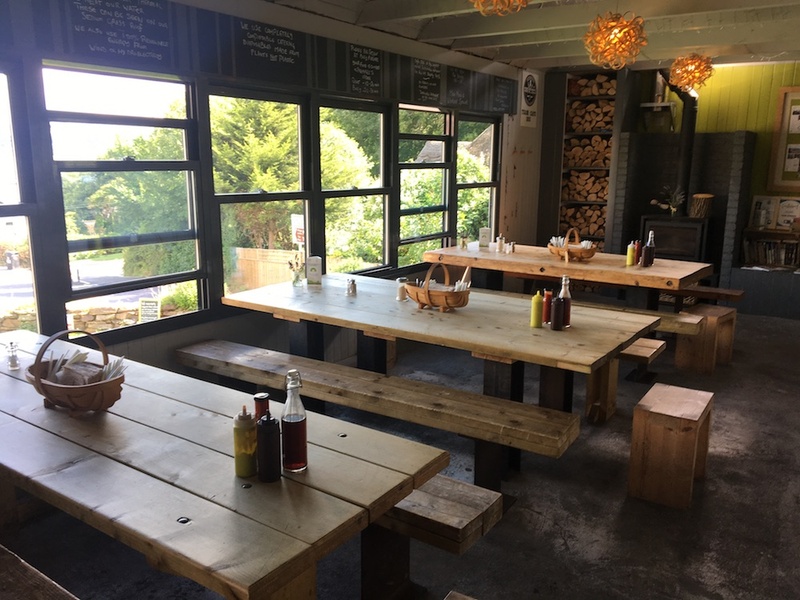 This gorgeous spot is one of a number of Ode eateries and is a super-relaxed, family-friendly cafe and takeaway. I highly recommend the egg and home made hash brown bap, washed down with a latte. I’ve wanted to visit this place for a while and it lived up to my Muddy expectations.